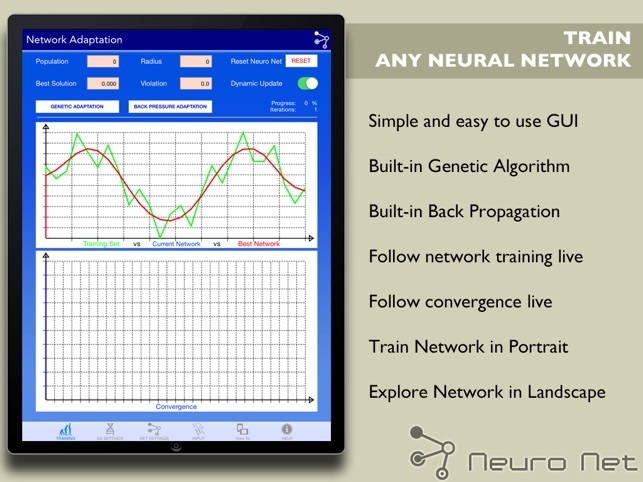 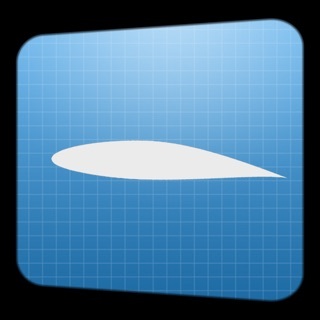 Neuro Net is the only Neural Network app available on the app store ! 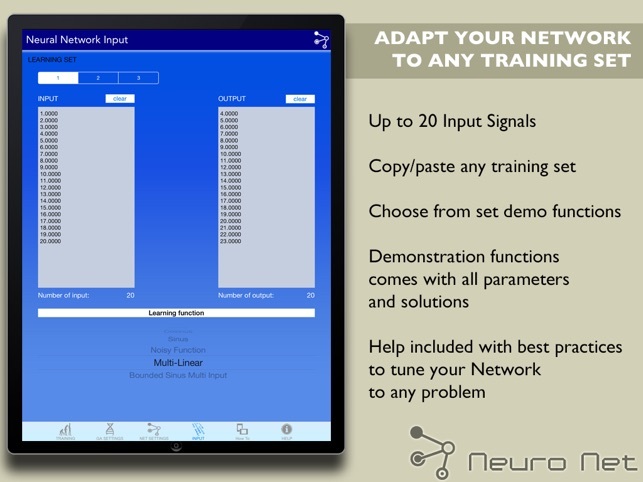 With Neuro Net, you have in the palm of your hand a very powerful and fully ready-to-be parametrized neural network. 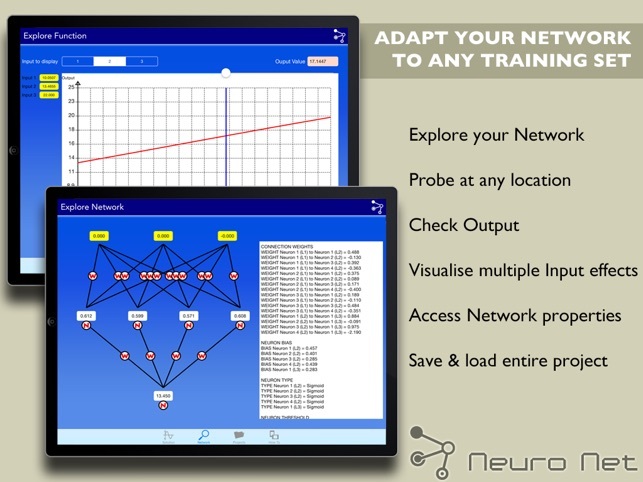 - Neuro Net is a useful tool and should be easy enough to use even for novice however prior knowledge of neural networks would greatly help in understanding all the parameters ! 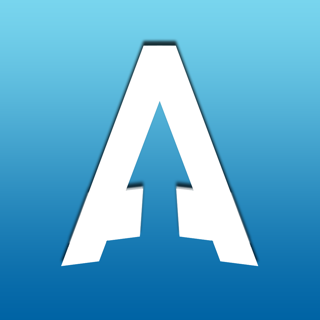 Several help pages are provided. 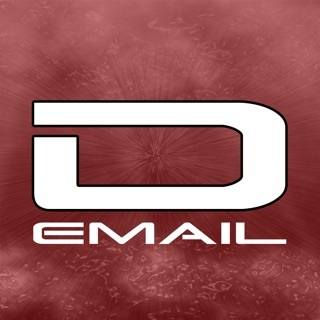 Would be nice if data could easily be imported and exported from Numbers and TSV/CSV files. 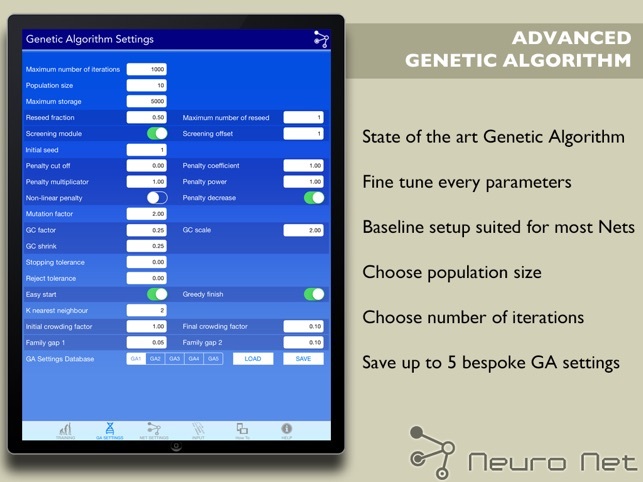 Would be nice to have more than one output. 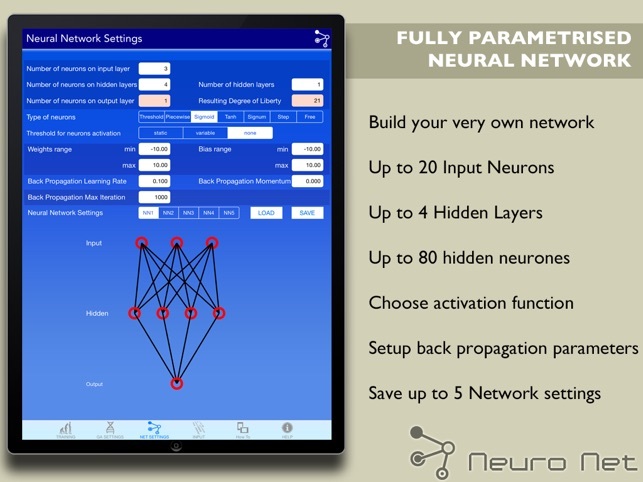 Need some kind of explanation what the difference between this and your other neural net products is. 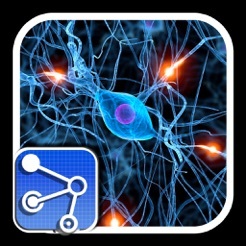 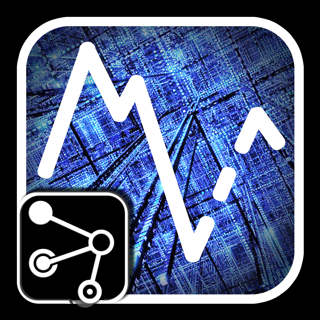 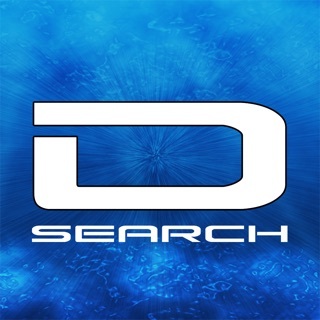 This app is highly technical but still a good learning tool for students of machine learning.